 Whenever we hear the name of Gucci Brand we have high expectations. One most amazing night of the year was full of lots of celebrities. The Los Angeles County Museum Of Art or LACMA hosted its Yearly Art + Film Gala’s seventh edition. 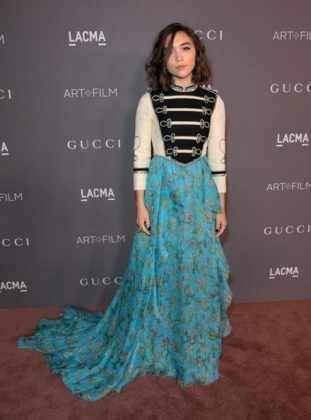 The evening of Gucci Red Carpet 2017 was honoured by legendary filmmaker George Lucas and American artist Mark Bradford this year. 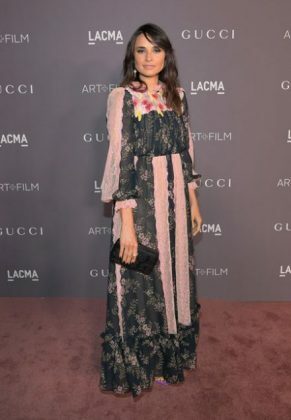 Gucci has been the presenter for its gala, proceeds from which is utilized to encourage the initiative to make the movie more fundamental to the museum programming, and finance displays, acquisitions, educational programming, and screenings of LACMA. 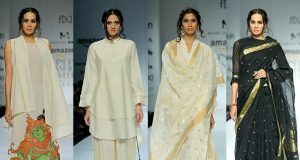 You just need to scroll through our gallery and check celebrities look which they carried for the evening. The day saw a host of actors and A-listers attend the gala including Leonardo Di Caprio, Amy Adams, Her Majesty Queen Rania Al Abdullah, Trevor Andrew and Santigold, Rowan Blanchard, honouree Mark Bradford, Charlotte Casiraghi, Timothée Chalamet, Asia Chow, sponsor Eva Chow, Petra Collins, Gia Coppola, Jake Gyllenhaal, Salma Hayek, Rosie Huntington-Whiteley, Dakota Johnson, celebrity Annie Lennox, Jared Leto, Hari Nef, Brad Pitt, Behati Prinsloo, Soko and Kerry Washington. Given Gucci’s participation, all the actors were dressed in Gucci wear from head-to-toe.